Case: Two-body, solid, polished, snap-on case back, sapphire crystal. 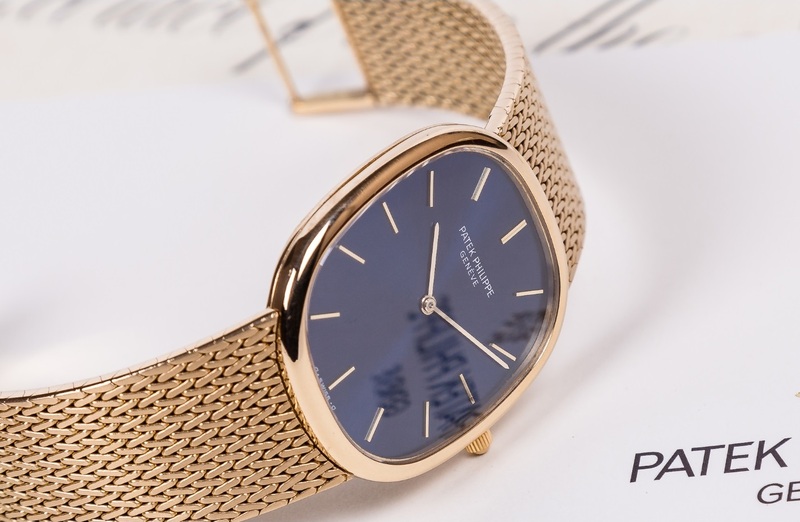 Dial: Satiné blue with applied yellow gold baton indexes. Yellow gold baton hands. Movement: Cal. 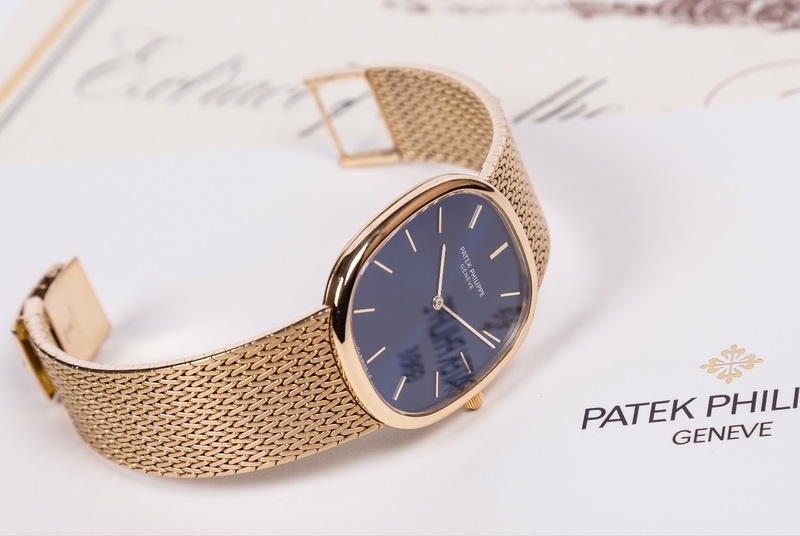 240, stamped with the Geneva quality mark, rhodiumplated, fausses cotes decoration, 27 jewels, straight-line lever escapement, Gyromax balance adjusted for heat, cold, isochronism and 5 positions, shock-absorber, self-compensating free-sprung flat balance-spring, 22K gold micro-rotor. 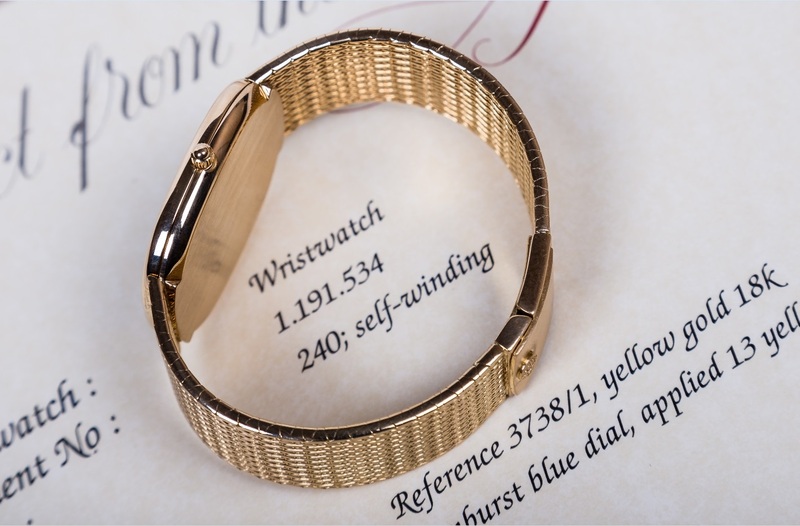 Dimensions: 36 x 31 mm. 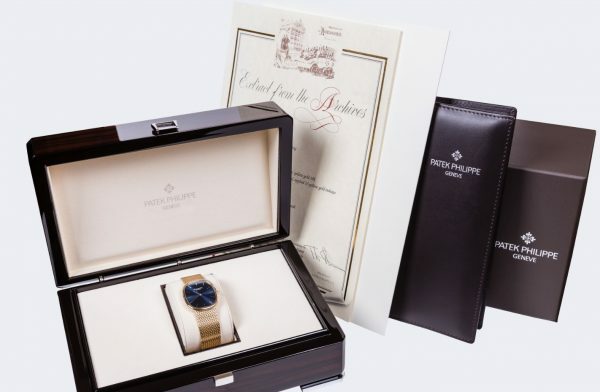 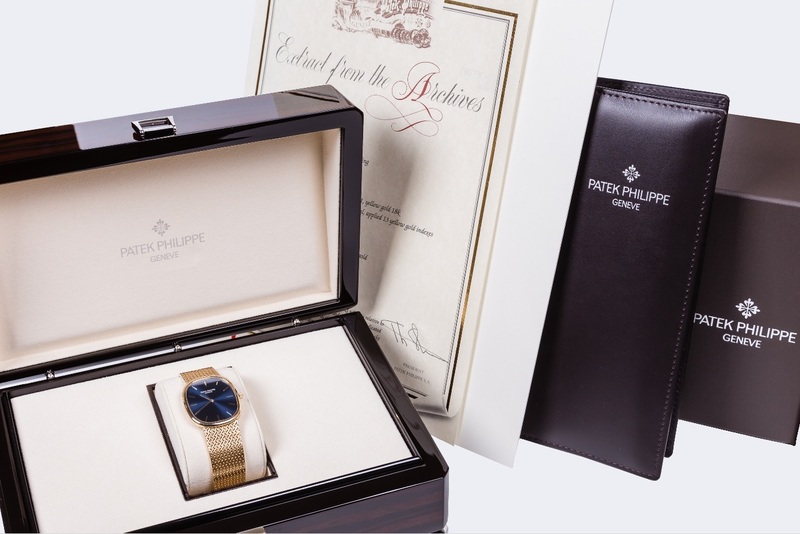 Comes with the modern Patek Philippe box, Patek Philippe’s Extract from the Archives, Atelier Tempus certificate and 1-year warranty. 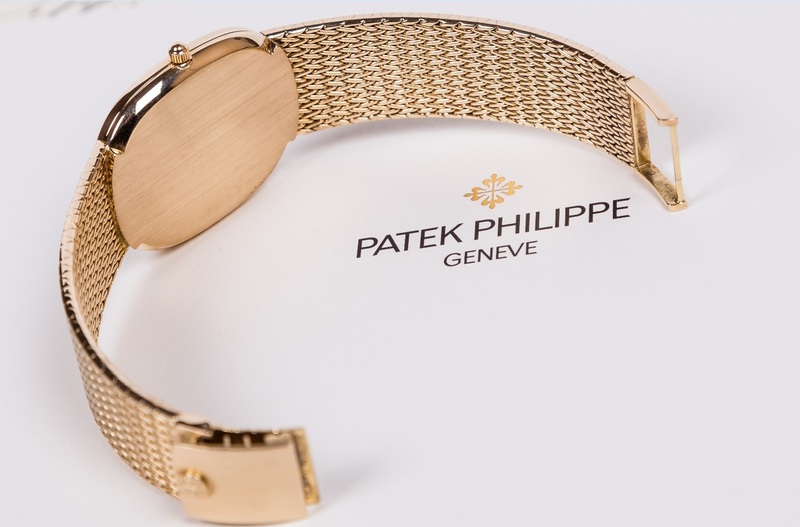 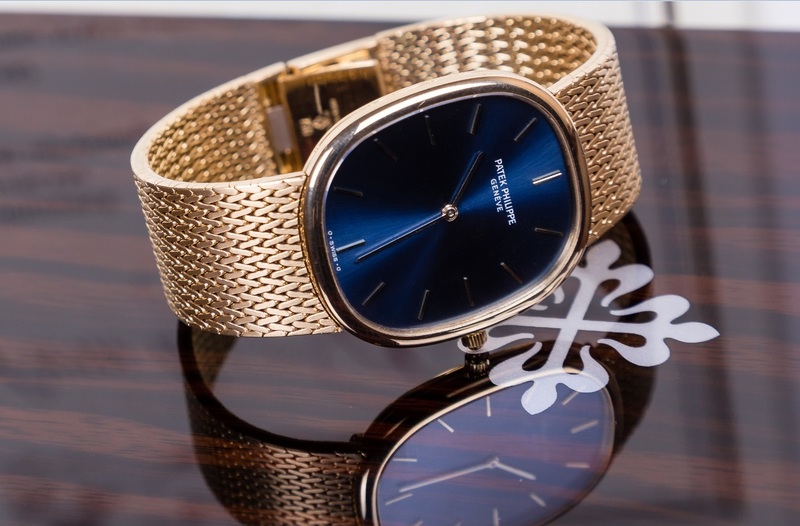 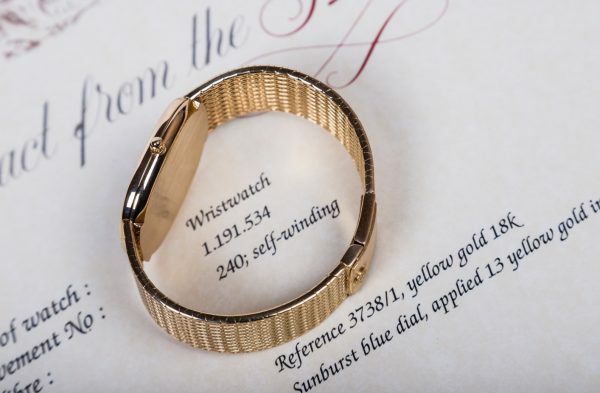 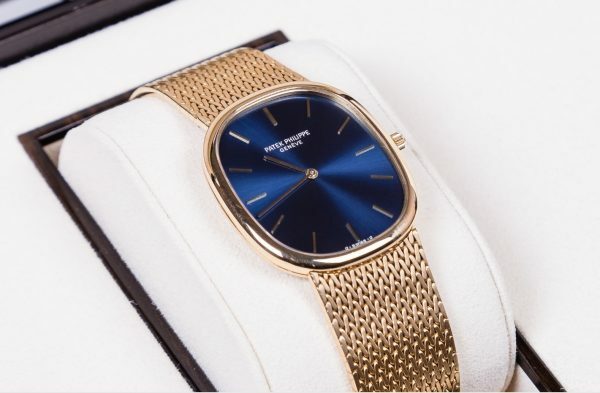 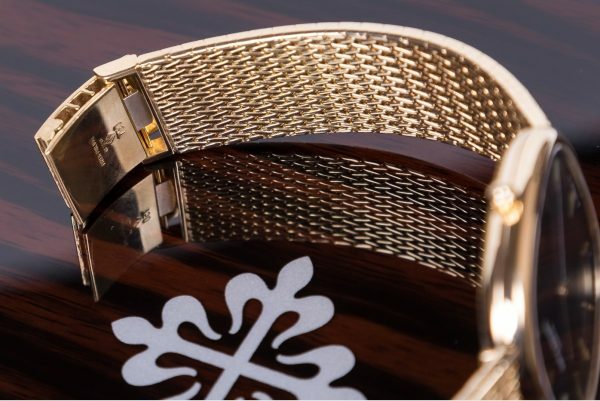 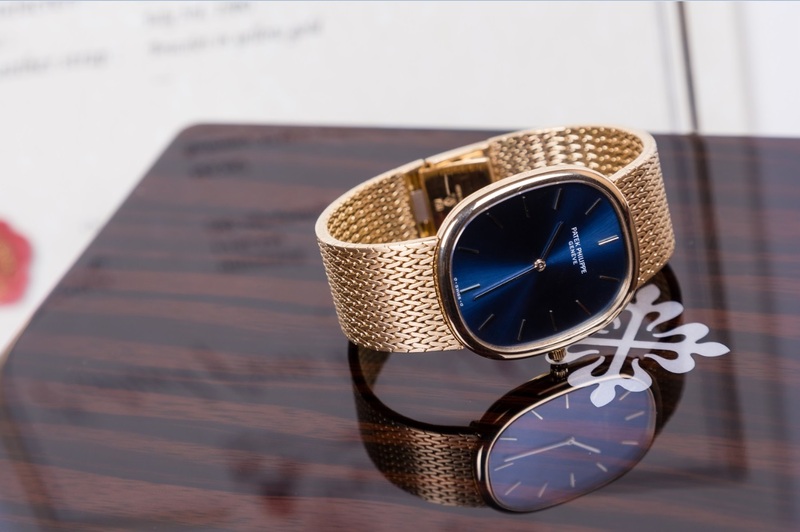 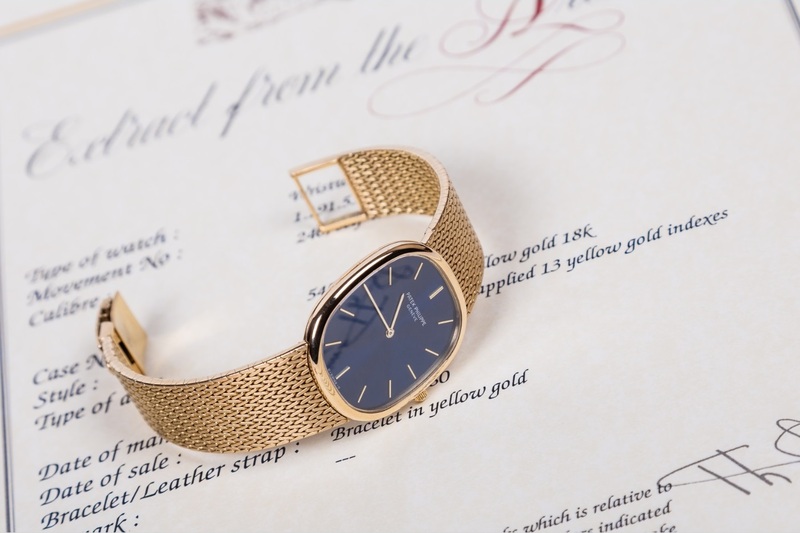 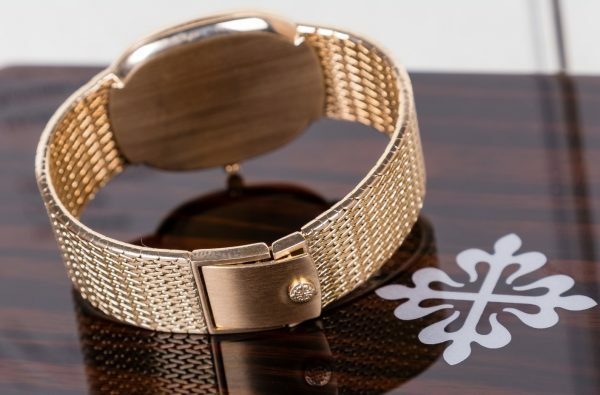 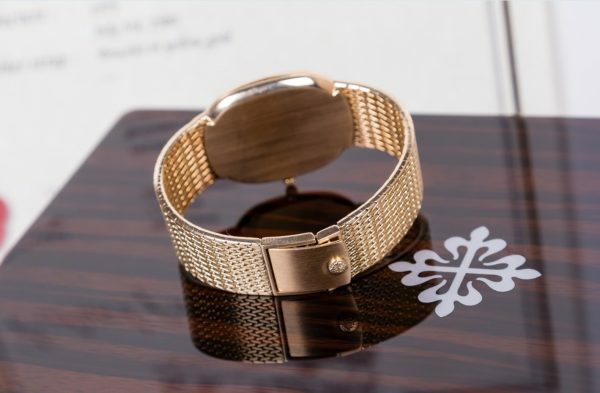 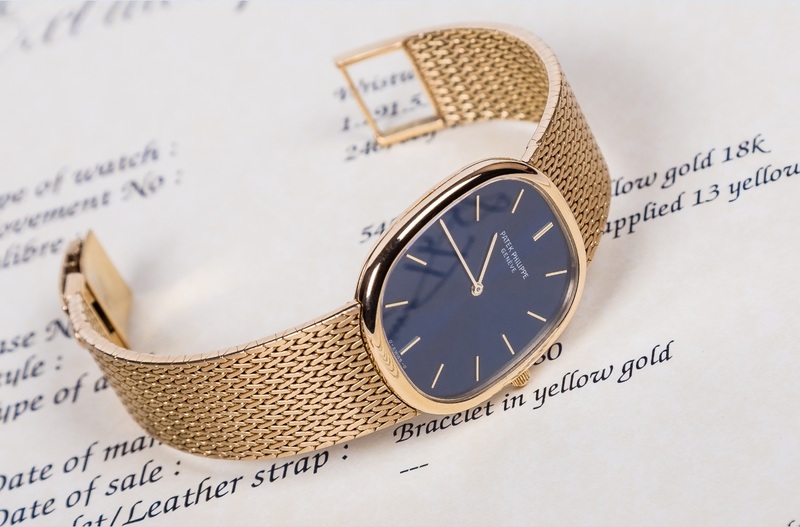 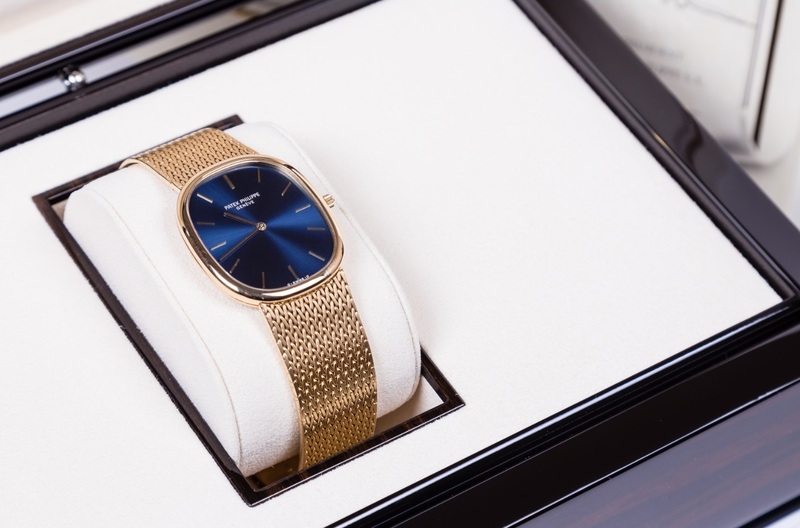 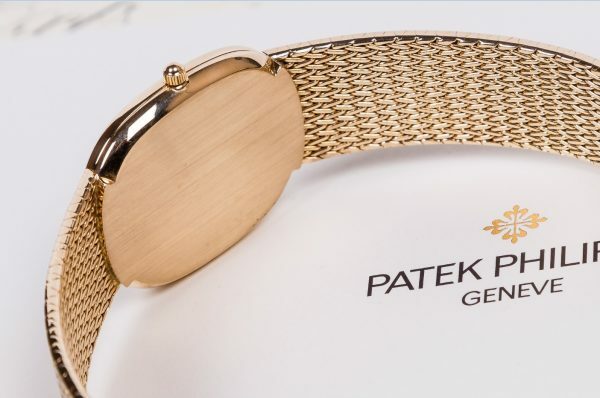 Please note that total lenght of the watch with yellow gold bracelet is approximately 150mm – this length watch suits smaller men’s wrists.